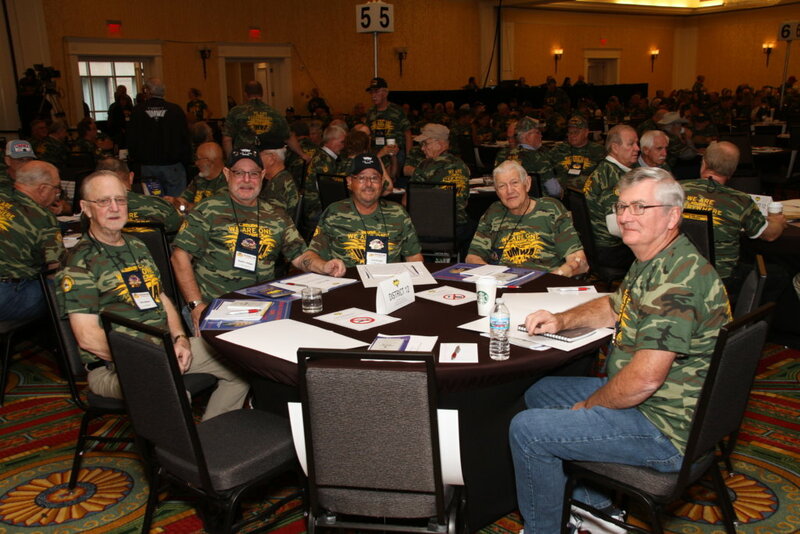 On November 3, 2017, 371 delegates representing 267 locals unanimously voted to pass three resolutions that give the UMWA the resources it needs to continue the fight to preserve the pensions more than 100,000 retired miners were promised and have earned. The delegates to the 2017 Special International Convention have set in motion the plan International President Cecil Roberts has to win the pension battle; including the transfer of up to $32 million from the Selective Strike Fund to the General Treasury that will allow the union to continue the fight. Click here to view a copy of the three resolutions passed during the 2017 Special International Convention. On November 4, 2017, President Roberts led a rally with 1,000 UMWA members, families and supporters to lay out the union’s next steps to ensure Congress passes legislation preserving the pensions for retired miners. Senators Joe Manchin, Shelley Moore Capito, and Sherrod Brown, along with Rep. David McKinley, sent video greetings, pledging their continued support for the American Miners Pension (AMP) Act that was introduced on October 3, 2017. Bill Londrigan, President of the Kentucky State AFL-CIO, and Josh Sword, President of the West Virginia State AFL-CIO, were in attendance and spoke to the crowd about their support to keep the promise.